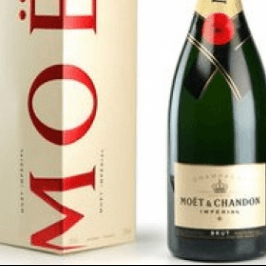 Champagne gifts for Moet Chandon Brut 75cl packed in a gift box. The aroma is delicately vinuous with a lime and vine blossom attack. Very ample on the palate, discreet finish. An aperitif wine; accompanies fish dishes.